In an era with no shortage of politically charged subjects, few are quite as divisive as the 2012 attacks on the U.S. diplomatic mission in Benghazi, Libya, which killed four Americans. Critics of President Obama honed in on the attacks as evidence of the administration being in over its head on foreign policy matters, and accused of Obama of manipulating the facts in the immediate aftermath of the attack. The president’s defenders pointed out that Republicans had cut the security budget for the mission, and that several similar attacks had happened during the previous administration—and went effectively unremarked upon. Meanwhile, your Facebook feed claimed the attack was proof that the Freemasons staged 9/11, in an effort to fuel climate change denial to distract gullible Americans from Mark Zuckerberg stealing all your personal information. Clearly, anything Benghazi-related is an explosive topic, and any movie about it would require a sensitive, even-handed director with a flair for subtlety. So faster than you can say, “Did somebody say explosive?! ?” Paramount signed up prestigious, four-time MTV Movie Award-winning dramatist Michael Bay, who brought a keen intelligence and awareness of world affairs to Transformers: Dark Of The Moon and the video for the Divinyls “I Touch Myself,” and will surely do the same to 13 Hours, based on Mitchell Zuckoff’s book of the same name. 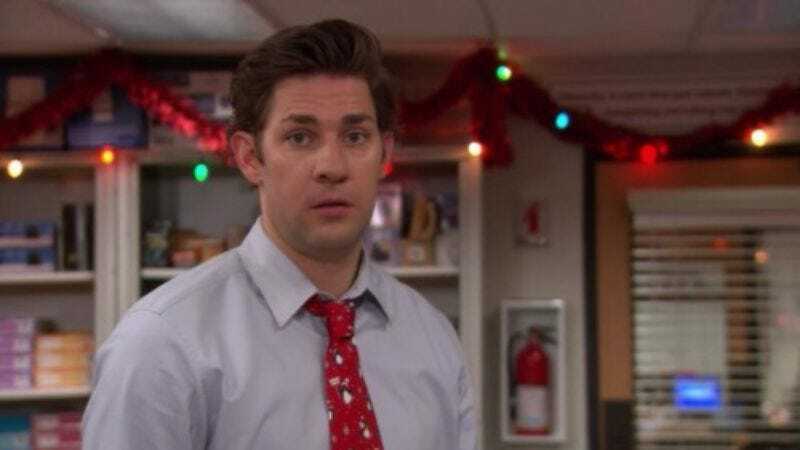 After auditioning numerous actors—including Woody Harrelson, J.K. Simmons, Walton Goggins, Shea Whigham, and a CGI robot dinosaur that shoots lasers beams out of its nostrils—Bay said he was blown away by John Krasinski. The former Office star is now set to play a Navy SEAL, one of the lead roles in the film. Krasinski has done some dramatic work, but mostly in small-scale films. 13 Hours will be his first big-budget starring role. In the meantime, he has a supporting role in the military-themed Untitled Cameron Crowe Project and is directing The Hollars, which he will also star in alongside Anna Kendrick, Randall Park, Mary Elizabeth Winstead, and Sharlto Copley.